Wintellect is a Premier Xamarin Consulting Partner. Wintellect, a Xamarin Premier Consulting partner can help build your company’s next highly scalable cross-platform Xamarin mobile application. Wintellect’s engineers are Xamarin-certified developers who specialize in cross-platform Xamarin mobile development and have broad mobile experience and a deep understanding of the Xamarin platform. Let us know how our team can help build your businesses next Xamarin mobile business mobile application. Find out more about our Xamarin consulting services and how we can work together to build your next Xamarin mobile app. Wintellect created an enterprise level mobile application across multiple devices and platforms. HydroPoint Data Systems is the market and technology leader in Smart Water Management. 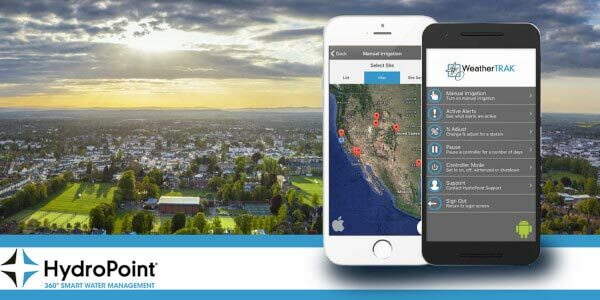 The company’s main product offering WeatherTRAK combines controllers and other hardware with cloud-based applications and services to automate irrigation schedules based on landscape-specific parameters (such as plant, soil, slope and sprinkler type). The goal was to quickly establish optimal irrigation schedules that match the true water budget for each zone of a landscape. Wintellect is a Microsoft Gold Cloud partner and has been Microsoft’s #1 training vendor for over 14 years. Are you looking for Xamarin training for your team? Let us bring a Xamarin course onsite to you.